These are the conditions of booking of Kantzos A.G.N Travel The contract between the parties is made on the terms outlined herein. Because our Terms & Conditions contain legal obligations, we encourage you to read them carefully. 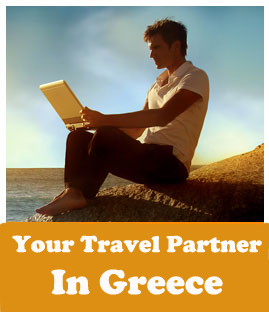 They form the basis on which bookings are accepted by Kantzos A.G.N Travel. By using kantzos.gr or any affiliated website, you agree to be legally bound by these terms, which shall take effect immediately. Kantzos A.G.N Travel may change online these Terms & Conditions at any time. You need to create a personal account and provide information about yourself in order to use some of the features on the site and book tours and activities. You are responsible for maintaining the confidentiality of your account password. You are also responsible for all activities that occur in connection with your account. You agree to notify us immediately of any unauthorized use of your account. We have the right to close your account at any time for any reasonable reason. You can contribute to the site in a number of different ways, including writing reviews and uploading photos, ("Content"). We may use your content in a number of different ways, including displaying it on the site, distributing it, using it in advertisements. We reserve the right to remove inappropriate content from the site and you are full responsible for your content if it violates any third party right , copyright, trademark, privacy or property right. If we use your content in any advertisements you are not entitled to any compensation. Prices are based on known costs at time of booking and are subject to change without notice. Prices listed on Kantzos A.G.N Travel site are per person unless otherwise specified. Prices are subject to change without notice. (Unless stated) Gratuities to guide, driver, personal items, lunches and drinks. Gratuities are at your discretion and are really appreciated if given. Please ensure you have a working printer before proceeding, as you will need to print your ticket/voucher . Please print and sign your online ticket - Bring with you on day of travel. Drivers have to work under strict legal and time restrictions and therefore you will be dropped back at convenient stops, depending on the traffic conditions. Our drivers will do their best to drop-offs at your hotel or as near as possible unless stated otherwise. Your guide will be happy to assist and advise you. Smoking is not permitted but all tours make frequent stops. In the interest of the safety and comfort of all passengers, we ask you not to bring hot food or drinks onto the coach. Children under seventeen must be accompanied by an adult. Infant 1-3 years free. Age 65 years and over. Passport should be shown on the day of travel. On arrival in Athens we ask that you call us on +30 210 2588921 to reconfirm your booking and advice us of your pick – up point. 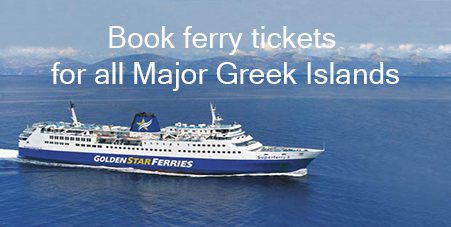 For any other destination please call our local provider shown on your voucher/ticket. At the time of booking must have student I.D. and be able to show it on day of travel. Short Tours: for full day and half-day tours ,a refund will be made up to 48 hours prior to tour departure date and time. Cancellation within 2 calendar days before the services begin you will be charged a 100% cancellation fee (no refund). Multiday tours: once booked, cancellations 100% apply for those cancelled 1-15 days prior to tour departure date and time and 30% apply for those cancelled 16-30 days prior to tour departure date and time. Detailed cancellation policy is written on your voucher / ticket. - Cancellation between 30 to 16 calendar days before services begin : You will be charged 5% cancellation fee. Gift Certificate : Gift certificate are non-cancellable and are non-refundable. 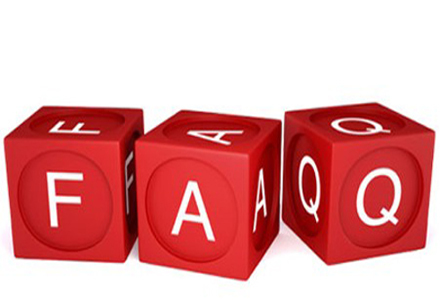 We reserve the right to cancel any of the services, without any penalties beyond offering a full refund. Whilst every effort is made to return lost property, Kantzos A.G.N Travel cannot be held responsible for property left on the coach. Property found must be collected from our offices in Athens, for those participating in our Athens tours. All the other should speak with their local provider. Is not included. Please discuss this with your Travel Agent or your Insurance broker. Overnight Tours the allowance is one suitcase not exceeding 20kg (44lb) in weight. A small amount of hand luggage is permissible. Luggage is carried at the passengers own risk and must be collected by the client. While touring, please note that seats are on a first come first serve basis. We may, at our discretion, require any person to withdraw from any tour if we deem their acts or conduct offensive or a nuisance to other passengers, and we shall have no further liability. We reserve the right to cancel any tours due to lack of demand and also to use vehicles as dictated by demand. We also reserve the right to alter at any time any price, place visited, itinerary or hotel owing to unforeseen circumstances. Every endeavour will be made to advise passengers in advance of any alterations which are deemed necessary. In the event of any passenger not being carried for any cause whatsoever, no liability will be accepted by the operators beyond the refund of the fares. Should the passenger fail to arrive or arrive late at the starting point or during the tour, then no liability whatsoever can be entertained. You will receive a personalized Voucher for each tour, transfer, event or service booked. You must provide signed the original, authentic Voucher to the appropriate service provider in order to redeem your tour, ticket, or package. All offers displayed on the website can only be booked online. A Passport valid for all countries to be visited must be carried and it is your responsibility to ascertain from your Travel Agent what visas are required. We have no liability for loss, damage , delay, inconvenience, or direct or consequential loss, however caused, unless due to our employees’ negligence, in which case our liability is limited (except for death or personal injury) to a maximum of the refund of the tour cost. We do not own or manage the, ships, vehicles, accommodation and restaurants used and we have no liability for loss or damage caused by the proprietors or operators thereof. Baggage is at owner’s risk throughout the tours. Tickets bought through third party suppliers may carry a different set of terms of conditions for which we are not responsible. Please note that on you voucher/tickets cancellations details will be written. Kantzos Travel Gift Voucher can only be redeemed on our offices. Kantzos Travel Gift Voucher are redeemable against any product offered on our site. Gift Certificates are valid for one (1) year from the date of initial purchase. The Gift Certificates are not redeemable for cash. Each tour operates to sufficient demand. In the event of “Places of Interest” being closed, or road conditions en – route prevent the tour as advertised being operated, every endeavor will be made to substitute an alternative, but the company reserves the right to cancel or alter arrangements. No servant or agent of ours can vary our conditions and any such purposed variation shall be of no effect unless it has been signed by one of our directors. All matters concerning this booking shall be subject to Greek Law.